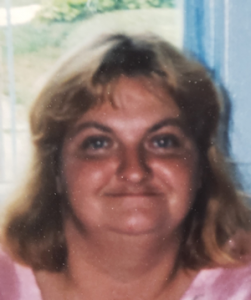 Maryann (Tedford) Silvernale, 54, of Winchester and formerly a long-time resident of Keene died unexpectedly on Wednesday, October 24, 2018 in the comfort of her home with the love of family near. Maryann was born the daughter of Alfreda (Krappatsch) and Arnold Tedford on December 9, 1963 in St. Johnsbury, VT. She was educated locally where she attended schools in Winchester and earned her GED. On November 11, 1983 she exchanged vows with Howard R. Silvernale at the Episcopal Church in Waterbury, CT. They were married with family and friends in attendance. Sadly, Howard passed on November 3, 2016 after almost thirty-four years of marriage. Maryann worked as a baker for Dunkin Donuts in Keene before retiring in 2010. Prior, she had worked at Burger King in Brattleboro. She enjoyed bingo, NASCAR and camping with family and friends. She was also one to play with scratch tickets and take trips to the casino. Mrs. Silvernale is survived by her four sons; Howard R. Silvernale Jr. of Winchester, Eric Silvernale of Winchester, Christopher Silvernale of Ashuelot and Jamie Silvernale and his wife, Kayla of Swanzey. Her siblings; Cindy Tedford of Winchester, Judy Hickey and her husband David of Chesterfield, George Tedford of Oregon, Arthur Tedford and his wife Jennifer of Winchester and Ricky Silvernale of Winchester. In addition, she leaves nine grandchildren, cousins, nieces, nephews, extended family and friends.